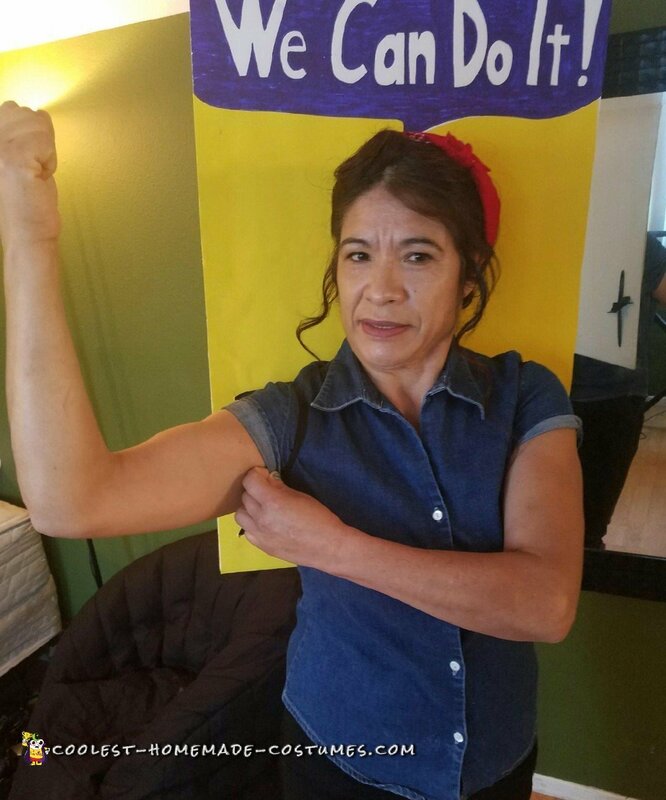 My hard working mother wanted to dress up as an inspirational image. What more than to show the hard working morale of women – “We can do it!”. 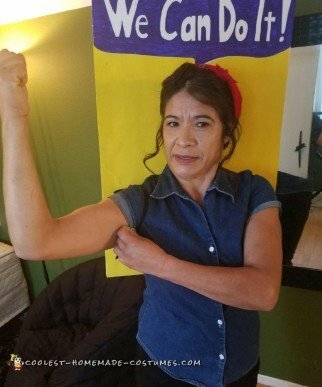 We came up with just simply making a poster with the “We can do it” letters and attaching shoelaces to use it as a backpack. We also used simple clothes that match the image and a red bandanna. Family and friends loved our unique and simple idea.